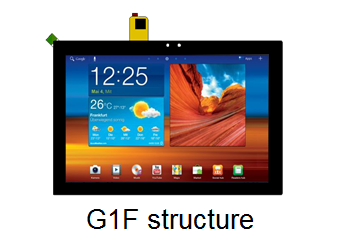 PolyTouchTM M12 series is designed to be integrated with EDT`s standard TFT 3.5", 4.3", 5.0", 5.7" and 7.0" display modules. It is compatible with the PolyTouchTM M09 series thus being the perfect replacement. High temperature and high humidity reliability implementation (85℃, 90%, 1000 hours). With simple tunable sensitivity by three internal parameters, along with superior noise immunity hardware design, improved sensitivity for thick cover glass up to 5mm and wider temperature operation capability, the M12 series is an outstanding solution for most industrial applications. The released part number is EP0700ML15(7"). Produce less heat and can be optimizing the thermal dissipation performance of the backlight system. These series TFT modules can achieve long lifetime at high brightness. EDT provides these TFT Module size range from 3.5″ to 10.1″, typical brightness at 800 cd/m2, 70K hours lifetime. In sunlight or bright ambient light environments, these series TFT modules still can preserve their color fidelity and contrast.